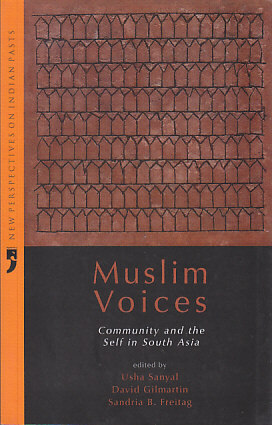 Paying tribute to the work of the renowned Islamic Studies scholar Barbara Metcalf, this volume of essays brings together original scholarship that examines the changing contexts and concepts of community within South Asian Muslims in the 19th and 20th centuries. Categories: Yoda Press, Islam, Sociology and Anthropology. Tags: 9789382579045, Community within South Asian Muslims, Islamic studies, Muslims in South Asia, South Asian Muslims. The concern of this volume is to try and understand the worlds inhabited by our subjects and their texts on their own cultural terms, within their own modes of discourse and frames of reference, while also placing them in historical context, paying attention to the contingent and the dialogic or contested nature of socially constructed realities. The essays in Muslim Voices recognise that identities are constantly being negotiated in changing historical circumstances, a negotiation which involves addressing tensions and conflicts around issues of authority, gender, social justice, and public versus private space. They further our understanding of the world views of specific Muslim “voices” and by placing them in their context, they also illustrate processes of change, contestation, and ultimately of political engagement. Usha Sanyal has taught at Rutgers University and now teaches at Queens University of Charlotte. Sandria Freitag teaches visual culture and modern South Asian history in the History Department at North Carolina State University. David Gilmartin is Professor of History, North Carolina University, Raleigh, NC, USA.